Find the best Indian food in town! Potato and peas with chick peas. Potatoes cakes with chutney and chick peas. Black grain lentil with tomato flavor. Eggplant roasted on fire and cooked with onion and peas. Vegetable ball in tomato and onions. Peas, potato and cauliflower with cumin and spices. You also get basmati rice, nan bread, cucumber, raita (yogurt) rand mango chutney. Best seller - cooked in tomato cream sauce. Garlic, onion, khandari, keema and cheese. 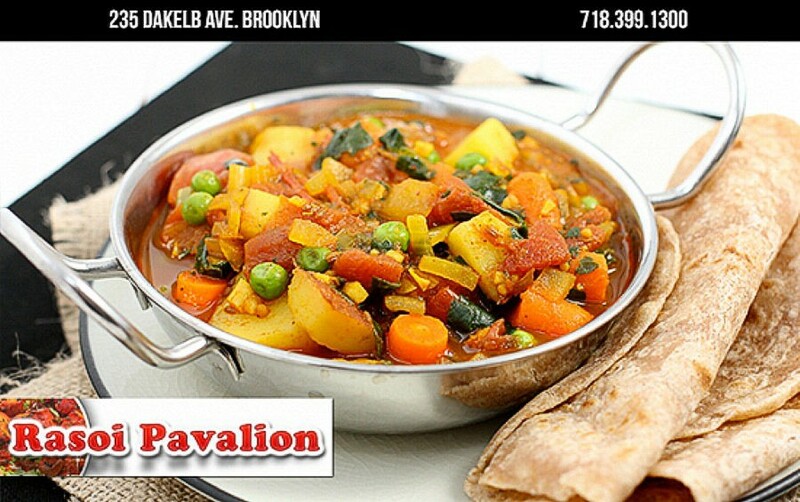 Fresh mixed vegetable sauteed in herbs and spice, cooked with special Pakistani rbasmati rice.